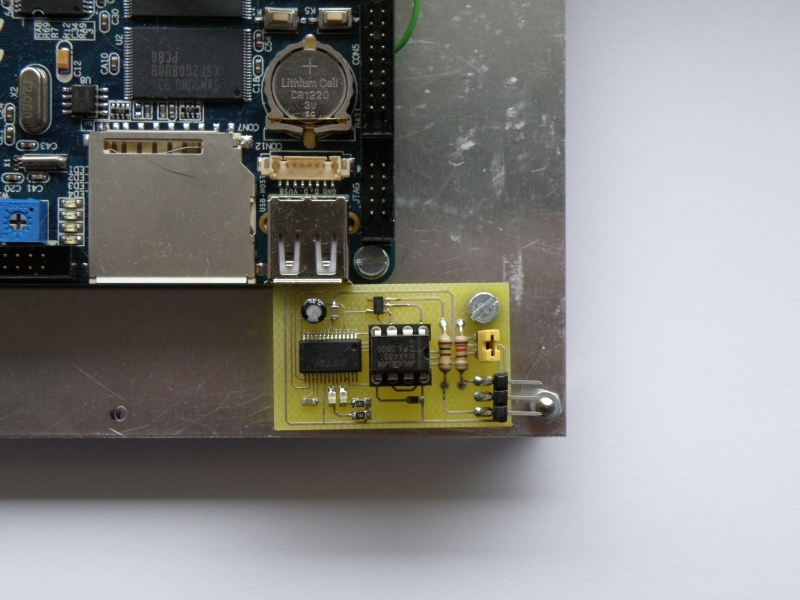 Needed to connect my Friendlyarm Mini2440 to the Joshua bus an Usb to Rs-485 converter.Idea is the same as in my Rs-485 to usb converter to connect the Joshua bus to the pc. 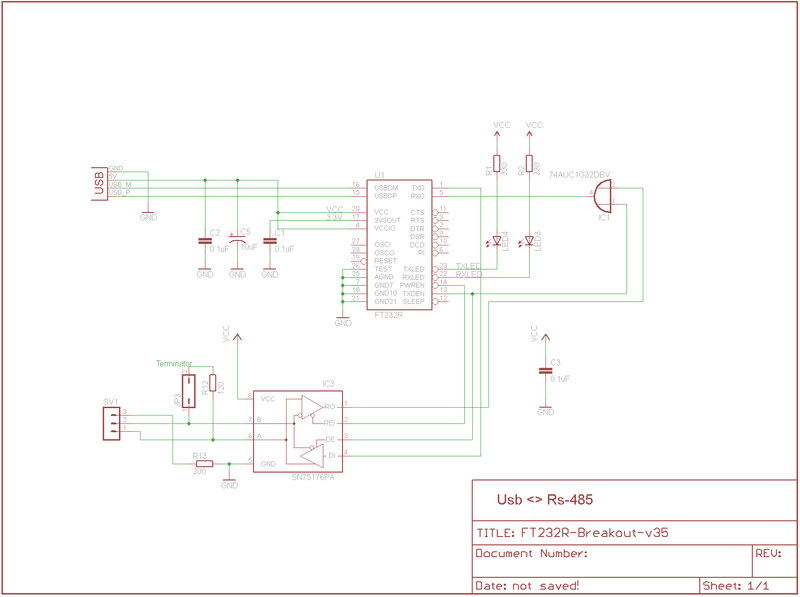 Schematic is not that special, it’s an copy from the datasheet of the FT232 from FTDI. 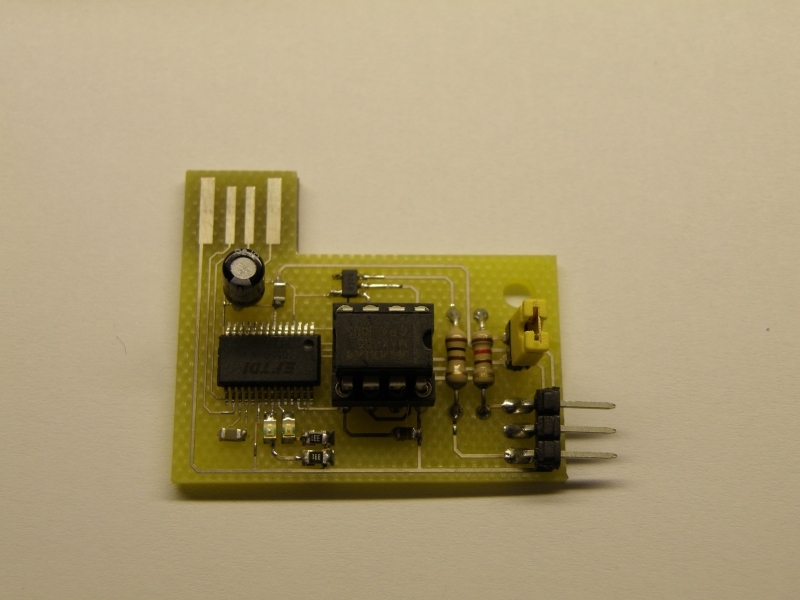 Added only the OR port to prevent local echo when transmitting, this is also described in the datasheet. The converter needed to build in the wall with the Friendlyarm touchsreen the space was limited. Using an Usb a<>b cable took to much space, the connectors of these cables are bigger then the converter itself. 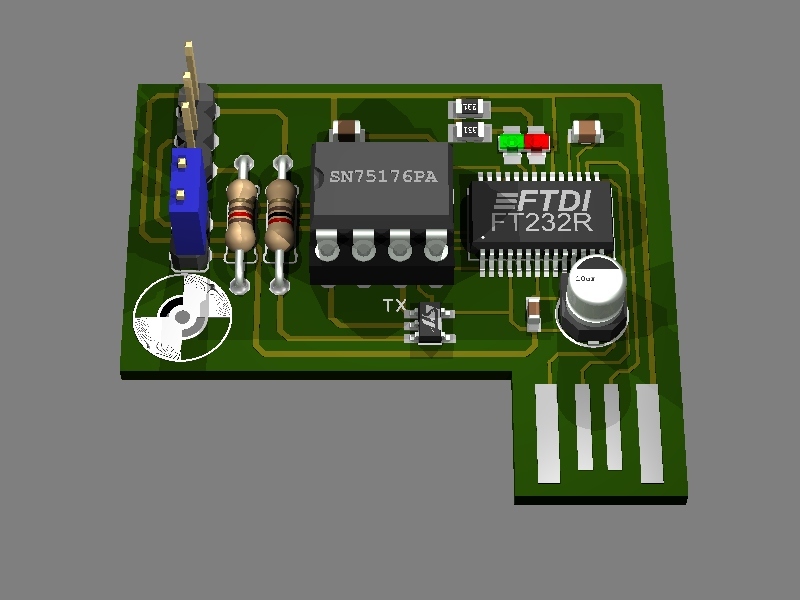 Decide to make a pcb that can direct plug in the usb connector of the Friendlyarm board. 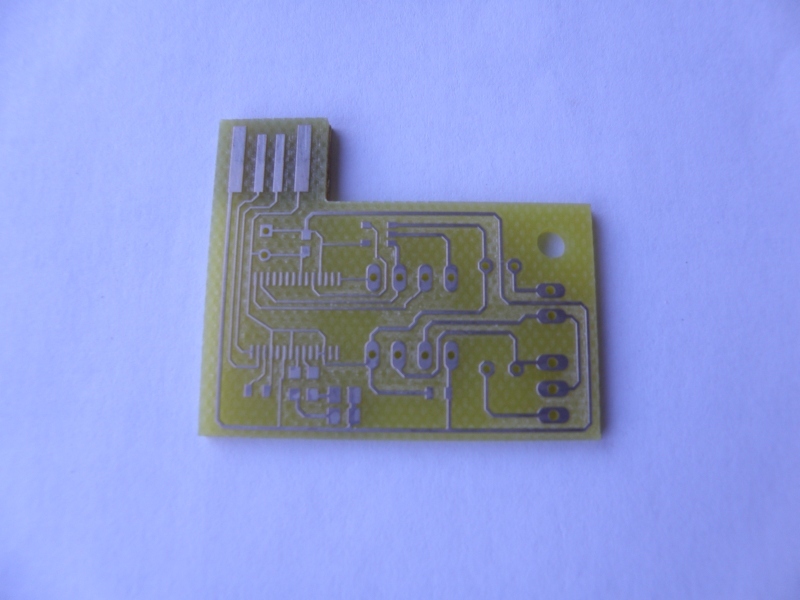 Pcb’s are normally 1.6mm thick and that’s just to thin to fit properly. 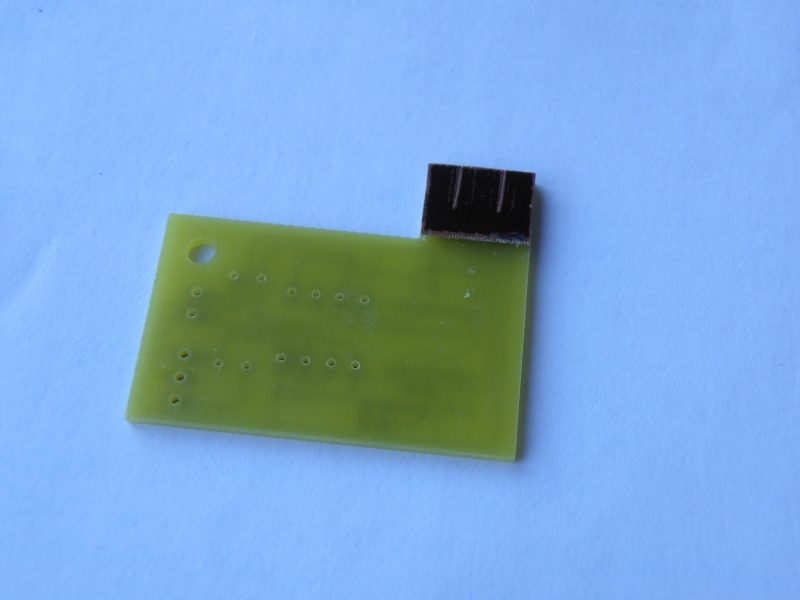 On the back i glued therefore an little piece of 0.5mm pcb to make it just thick enough to fit.